I always wanted to be an Architect when I grew up. I drew all the time and would always sketch out ways I wanted my house to be. Then I took an Architectual design class in Highschool and after seeing how much math went into it, I figured for the safety of millions (cause I would have become a renowned and very sought after Architect until all of my buildings collapsed) that it would be better leaving the designing to those better equipped in math. Designing has never left me though. Then a few years ago, the opportunity for us to build our own home came up. It was crazy and hard and took us almost a year from when our basement was dug out to moving in, but I loved it and I absolutely love our home! Even with me having helped put up the roof and walls, it's still standing! We are now getting ready to finish up our basement and I am going to be posting about each step. I would have done this when we were building, but I didn't have my blog back then, so you get my thoughts and tips on if you are wanting to build your own home instead! 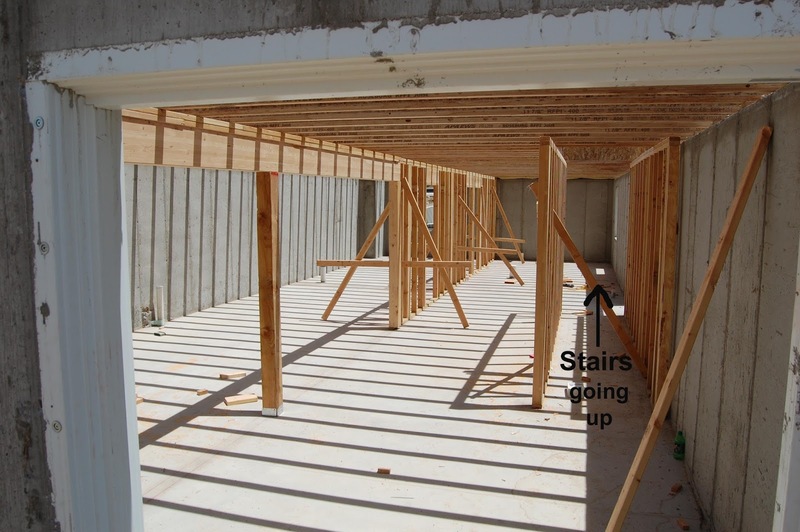 I'm in no way an expert, but here's a few things we found out when building our home. You will want to find a plot and you will want to find out everything there is to know about it. Where we built our house, we were teetering between two lots. One was bigger, but it was odd shaped and we later found out that it was below the sewage line, so our house would have been required to have some kind of sewage pump in the basement in case it ever backed up and flooded. Lovely thought I know! Some places will have restrictions or requirements. Such as, if your lot is in an HOA area. 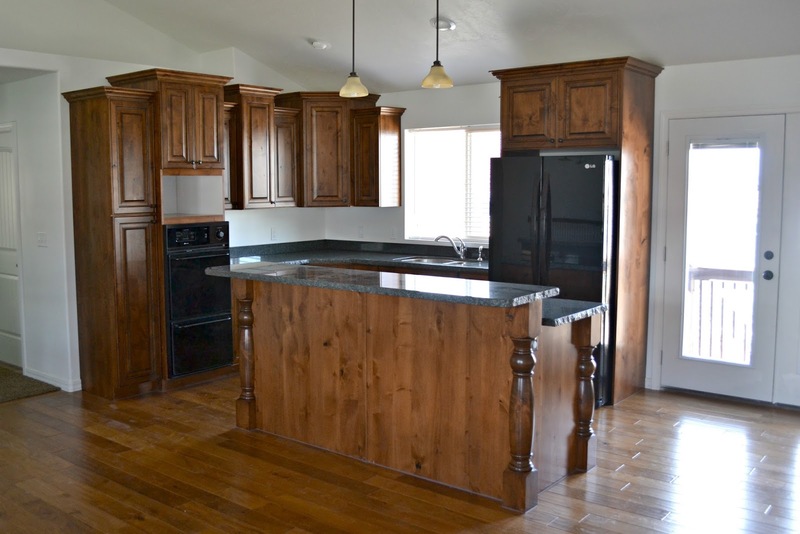 You may have a square footage requirement as well as having to have a fence immediately. Or you may live in a place where a 2nd story isn't allowed. Always check with the city with these before buying a lot so you know what to expect. Write out things that are most important to you and what will be realistic. 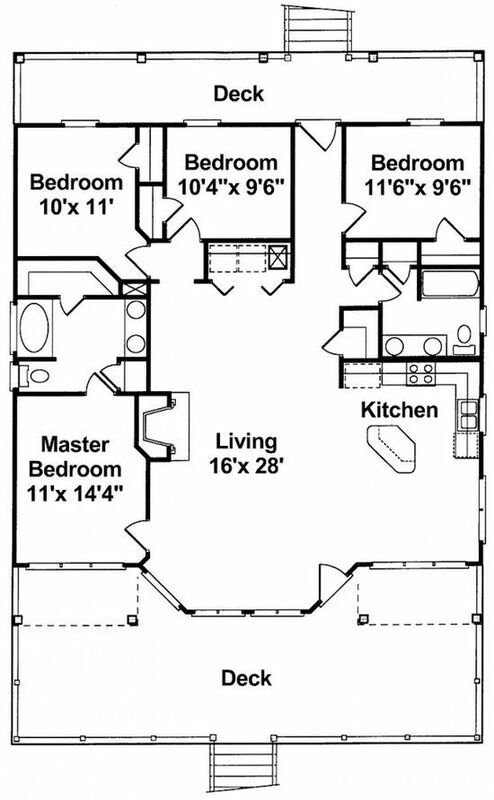 Big bedrooms? Open floorplan? Laundry room? Square Footage? Single Story? For us, the big things were that we had an actual laundry room, open floor plan, nice size porch, and that the main bedroom be separated from the kids rooms. We plan to stay in this house pretty much forever, so we chose this with teenagers on mind! I also suggest that you label the importance of each. Unless you can draft your own plans (which is awesome but also costs more) there is a chance that you may have to let go of one thing to get the rest. For example, the fact that we wanted the master bedroom separated from the kids rooms. That's in the minority as far as houses go and I almost gave up on it! You will also want to give yourself time. There are TONS of plans online and you can easily just type in the type of house you're looking for in google. You could get lucky and find one you love immediately, but you might not, so plan on a little bit of searching for that perfect plan. Keep in mind that small changes can be made as well. Just as long as it doesn't mess with the structure of your home. 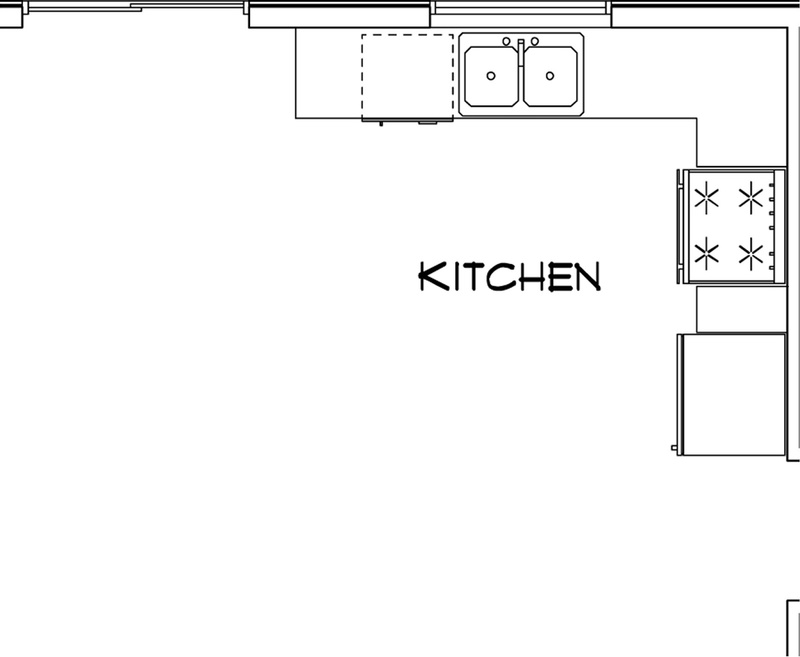 We flipped our floor plan and then I completely changed the layout of our kitchen. 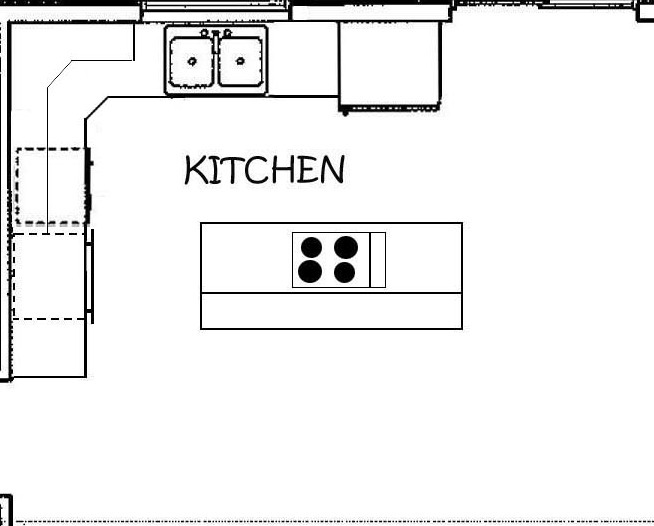 So this is what our kitchen was before (on left) and what we changed it to be (on right). It was a really small change, but completely changed the dynamic of our kitchen. It's insane how quickly things add up. Sometimes things don't go as planned either. Our lot was quite a bit below street level, so our price in dirt to fill it in ended up being far more than what we anticipated. Our neighbors also waited very patiently for our lots to be graded together, but in the end they had to put up their fence and our lot required a rock wall after that, which was a crazy unexpected expense. Since it took us a year, we looked for deals and stored things. I found the biggest sales were during Memorial Day and Labor Day, and if you can find anything that is being discontinued or last of stock (say tiles, carpet, counter tops, lights) you can get really good deals on those! Just make sure you give yourself a good leeway between what your loan is and what the cost of your house to build will be. It is a lot of work and our lives revolved around building. We even spent our anniversary date working on our house. Now enjoy our progress pictures from start to finish of the outside of our home. It could be me writing in the first paragraph... ahahaha... We have been building a house too, a small one on a budged, but it is standing still for now. Since i left my job we've postponed continuing it, and will only probably continue after I get back to work in a couple of years. I am ok with that though, we have this flat for now (we also own it) and as much as it bothers me that we don't have any outside space, I know sometime in the future we will have our house, in the country side finished and ready for us to move in with our kids. We own our house on two acres in the country. It's OK, but we're outgrowing it! We're hoping to add on or completely re-build in the next few years!